As long as man has walked the Earth and gazed into the stars, he’s asked “what’s out there what’s waiting for me?” Today, our country asks that very same question, although not for what we can find, but how we can use Space and its resources to advance our scientific and military might into, and hopefully beyond the 21st century. With the dawn of rockets and the nuclear confrontation between the United States and the Soviet Union during the height of the Cold War, Space would soon become a vital asset for the interests of both countries and other major players for the years to come (particularly China). With the sudden rise of China, and the reemergence of the Russia as a major military power, it is absolutely vital that the United States once again pursue Space for economic, political, and commercial purposes, as well as for strategic military purposes which will benefit not only the military, but the United States as a whole; and how our Navy can play a big role in helping us make this happen. As of the time of this writing, the United States and other Western European Countries are currently embroiled in a geopolitical dispute with Russia over Ukraine and the rights of its territory such as Crimea and Eastern Ukraine. As a result of this, the United States and the European Union declared economic sanctions on Russia which are meant to cripple the Russian economy and force Russia out over its interference in Ukraine. In response to this, the Kremlin has threatened to stop shuttling Astronauts to and from the International Space Station, and cut off supplies to the ISS. 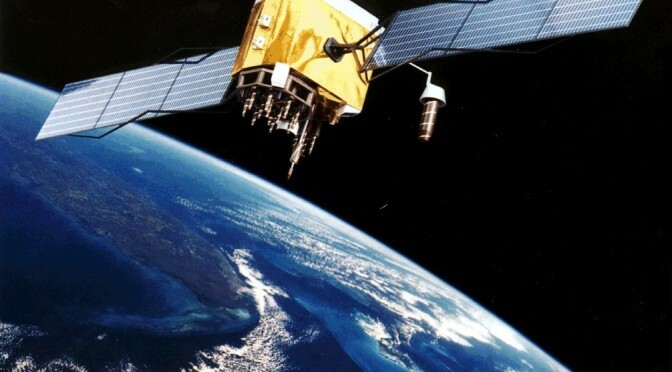 In 2007, the Chinese military carried out its first antisatellite missile test when it launched a ground based missile 500 miles to destroy an aging satellite of theirs. It is clear that if the Navy wants to confront new 21st Century threats, it must research and develop new combat systems, whether it is by land, sea, air, or space. The Russians and the Chinese are also looking into developing similar weapons systems, while also trying to implement a missile defense system capable of intercepting and eliminating enemy targets. With a resurgent Russia and emerging China, this has become a must for defense of our allies and overseas military installations all around the world. It has been stated that an enemy country wouldn’t necessarily have to launch a direct nuclear strike if it wanted to destroy the United States. Countries like China and Russia could simply detonate a nuclear weapon in the upper atmosphere right over the Midwestern United States and knock out most, if not all, of the electrical power grids in the continental United States through an Electromagnetic Pulse Effect. An EMP would be devastating to the United States as it would cripple our infrastructure, down all of our technology, leave the US Government and military crippled and slow to react, and cause the global economy to collapse. It would be a scene right out of a post-apocalyptic film like The Postman or The Book of Eli. Not to mention the millions of casualties and deaths that would occur due to starvation or anarchy. It would truly be a shame and a complete lack of competence if our Government doesn’t have a contingency plan already in place for an event like this. In order for this plan on space based missile defense to work however, it must learn from the mistakes made in the 1980’s when Ronald Reagan famously proposed in 1983 his SDI (Strategic Defense Initiative) or the “Star Wars Program”. As many people know, SDI was announced in 1983 by Ronald Reagan as a means of countering the Soviet threat with space based weaponry capable of shooting down any Soviet missile before it entered American airspace. Unfortunately, due to the slow technological development at the time of space based missile defense systems, as well as other factors including the Dissolution of the USSR, inefficiency, and overall lack of continued public support, SDI did not succeed in meeting its goals. In comparison to the 1980’s-early 90’s, America does have the infrastructure in 2015 to support a new SDI type program. For starters, in 1983 something called: “private space companies” did not exist. With companies such as SpaceX, Virgin Galactic, Orbital Sciences, and Blue Origin starting to appear and establish themselves as legitimate companies in the aerospace sector, there’s no reason why they couldn’t be expected to help the American military develop a space based missile defense system. Similar to how other Aerospace contractors such as Boeing and Lockheed Martin have helped the Air Force in its development of their new aircraft and weapons systems, a joint government/private program with the DoD and Navy providing the funding, and the private companies will handle the testing and development could be developed. That way there won’t be as large of an outcry by the public as there was with SDI in the 1980’s and the politicians/military leaders don’t have to worry so much about any failures and the potential political backlash with the program, as it will fall on the shoulders of the private contractors. Plus, this program will be more affordable now than it ever was in the 1980s. SpaceX is currently developing the Falcon-9 space rocket with the intention of making it reusable and cheaper to launch into orbit. According to NASA, the average typical launch cost for the Space Shuttle Program was $450 million dollars. With the SpaceX designed Falcon-9 rocket, that cost is now about 50-56 million USD, an absolute bargain when compared to how much NASA’s launches cost. The biggest obstacle to this plan would not necessarily be the technical or financial challenges involved, but compliance with international law such as the 1967 Outer Space Treaty. Article IV of the 1967 Space Treaty states: “States Parties to the Treaty undertake not to place in orbit around the earth any objects carrying nuclear weapons or any other kinds of weapons of mass destruction, install such weapons on celestial bodies, or station such weapons in outer space in any other manner. The key words in this text being: “Nuclear or any kinds of weapons of mass destruction.” WMD’s are most often defined as being either: Biological, Chemical, Radiological, or Nuclear. Since lasers do not fall into either of these specifically defined categories (as lasers are electromagnetic), this would not violate international law regarding space and weapons of mass destruction. And their primary purpose would be defensive in nature. The Navy could easily place these interceptors on ships or in bases around the world in order to be alerted by any of these threats, as well as satellites which can track and locate enemy ships and submarines before they attack. 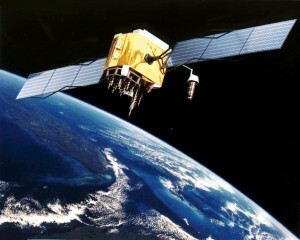 It is obvious that space will play a critical role in the development of naval affairs and maritime security through the use of satellites and space based defense which will be used to further America’s Naval supremacy in both the Sea and Space throughout the rest of the 21st century and beyond. As we can see, the Navy will not just be limited to the sea but will have an increasingly expanded role as technology and space travel progresses. Nolan McEleney was born in Jacksonville, Florida in 1996 and is a diehard fan of the Jacksonville Jaguars. His family moved to CT in 2005, before finally settling in MD in 2008. Nolan is currently a cadet officer in the Civil Air Patrol for the Bethesda-Chevy Chase Composite Squadron where he is currently assigned as a flight commander. Nolan currently attends The Avalon School in Gaithersburg where he is the Washington house captain. In extracurriculars, he is heavily involved with the Civil Air Patrol. Nolan is also a part of his squadrons cyberpatriot team which deals with cybersecurity and other threats as part of a nationwide competition. He has also taken online courses with the Cisco Networking Academy and Hillsdale College. In the future, Nolan would like to work with NASA, a private space company, or any science and tech company. Whether it be in a technical or non-technical role, he feel like a lot of these companies such as SpaceX are on the cusp of history with proposed missions to the Moon, Mars, and beyond. He would also like to be a part of and contribute to that in any way he can. Nolan currently intends on going to the University of Washington and participating in ROTC so that he can become an officer.